The award committee uses three central criteria to assess projects: innovation, access and accessibility. Under innovation, several sub-criteria are also considered. To this end, applicants are asked to clearly respond to the following questions: What was the barrier their course sought to overcome? What was the solution? Was the impact at the course or program level or institution-wide? And was the impact pedagogical, structural or something else? Both institutional and faculty-led team submissions are accepted and encouraged, and there is a lot at stake. Up to three institutions win up to $100,000 and up to 10 individual teams win up to $10,000. 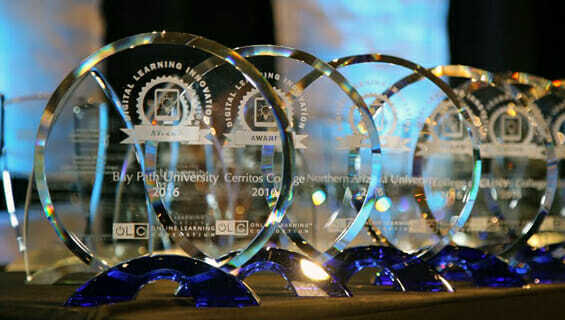 In 2016, institutional winners included Bay Path University, Cerritos College, and Northern Arizona University. Northern Arizona University was awarded a Digital Learning Innovation Award for its Peak Performance Mathematics Summer Bridge Program, which aims to promote STEM degree attainment by students at Northern Arizona University. The program is specifically designed to support students who enter the university with fewer than the required number of mathematics classes needed to pursue their chosen STEM major. To ensure these students are able to stay in the STEM field, Peak Mathematics offers incoming freshmen and transfer students a free and flexible way to upgrade their standing in mathematics prior to the start of their first semester. half. Building on the success of the pilot, the team rolled out the course again in Fall 2014 and Spring 2015. The Spring 2015 course was especially impressive. Starting with a group of lower performing students, they found that the pass rate rose from 35% to 80%. If you are interested in nominating a team or nominating your own team, take time out to attend the Online Learning Consortium’s upcoming awards webinar on June 14, fill out the 2017 Digital Learning Innovation Award application, and be certain to submit your application and accompanying materials no later than June 30.